Reflections of Classic Music, Movie and Popular Culture. Portraits the Mirror our Love of Entertainment's Greatests. 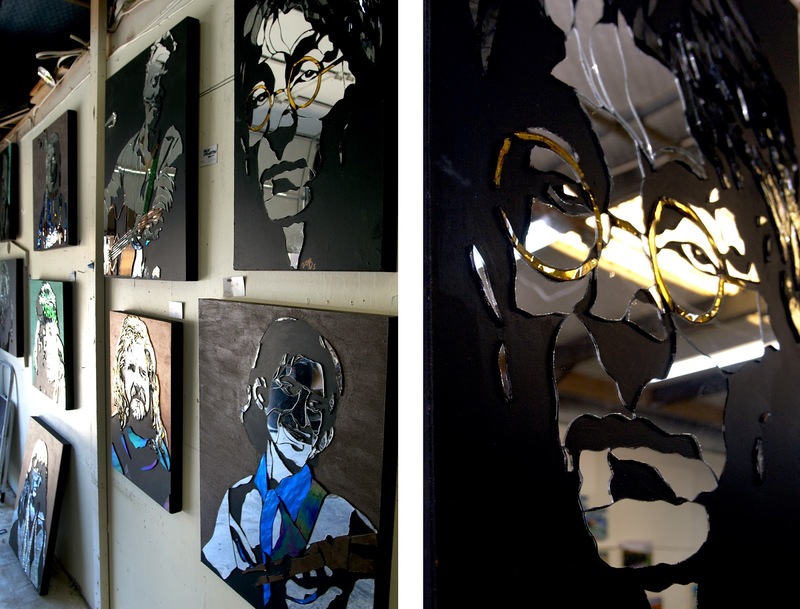 While he got his start in stained glass, artist Tom Runkle has found a unique opportunity to reinvent his technique, not letting the need to "retire" from his initial expertise hold him back from still playing an active role in the art world. Many of the methods practiced in making stained glass windows, from cutting unique shapes of each hue to piecing together the fragile edges almost like a puzzle, lend themselves well to this artist's new dedication - Mirror and Mosaic. 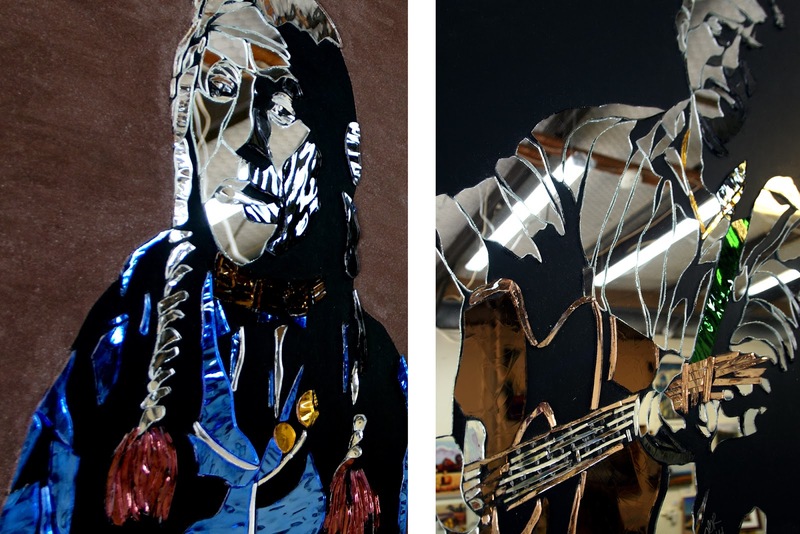 His favorite subjects reflect his equally strong passion for Music, classic Rock and Folk artists and icons. No wonder he has found a comfortable home in Austin, a city that welcomes artists of any kind, oh and The Live Music Capital of the World. With the different cuts of mirror, he creates lines and shadows to shape each face. Each figure is easily recognizable. You have to be pretty sharp to acheive such striking likenesses. Plus, the unique style seems fitting for representations of these icons. Runkle does a great job of highlighting pop culture favorites and letting them shine, no doubt thanks his attention to detail and dedicated handiwork.